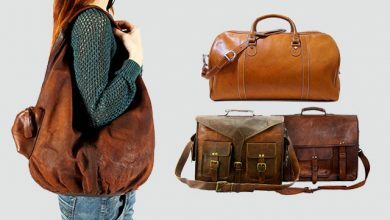 Messenger bags, they need little to no introduction. Have been into style for a long time, this item almost invaded many big cities around the world, from Milan to London, from Seattle to New York City, etc. The major reason is its young and dynamic style to one of the original hipster staples. 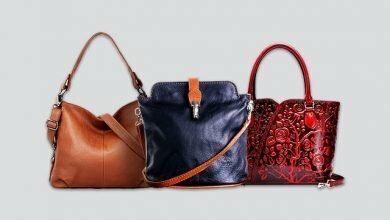 These bags arrive in diverse sizes, designs and colors to meet different desires and requirements. However, this is a two-edged sword, because of such diversity, it’s hard to find a perfect compromise of cool and practical. 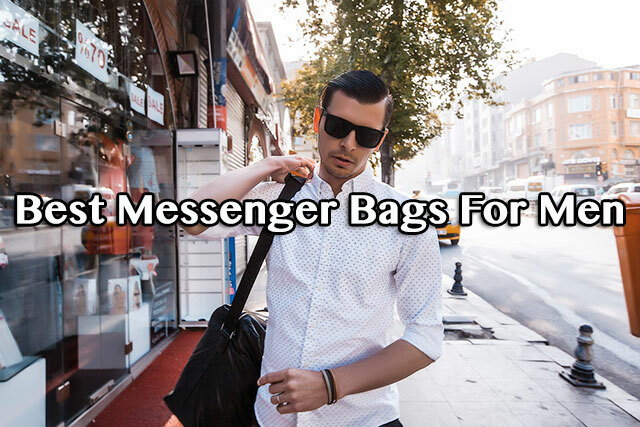 That’s why in this article, I will give you 10 references of the best messenger bags for men to help you grab the most suitable one. I don’t know about you, but for me, my top four elements to keep in mind when it comes to considering the best messenger bags are shoulder width, material, outlook and capacity. If you choose this product from Leaper, you are in luck as it satisfies them all. Going outside in, my very first compliment for this bag is its various color selections. There are 19 options for you, each of which brings up not only different color combinations, but also different style and measurement. But my favorite is the Black1, it’s awesome! The whole outlook of this Leaper Messenger Bag is elegant and nice. It’s a great combination between the dynamic look of washed canvas and a little bit vintage of PU leather decoration. Not saying that the shiny stainless-steel buckles and rings in the front, making the product look more stylish and masculine. Nonetheless, these materials are high quality to deliver good durability and longevity. You can carry this bag in many ways thanks to its hand handle and shoulder strap. Talking about the shoulder strap, another thing you should bear on mind when choosing it is to consider the its width. Too narrow and thin material shoulder strap will put more pressure on your shoulders and back, which means if you wear it for long time, these areas will be painful. It’s not good for your health and I do advise you to pick those straps with moderate width with extra soft padding for the best comfort. The strap of this backpack bag is measured exactly to fit average size of men’s shoulders. On top of that, it’s comfortable. The product itself has measurements of 10.2*13.6*4.4 in. 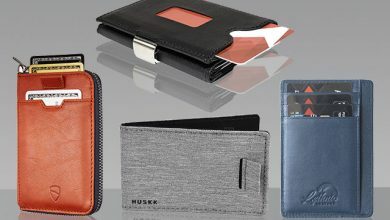 With such dimension, it fits greatly a 13” slim laptop without sleeve in addition to some other stuff like wallet, cell phone, snacks, magazines, etc. I must emphasize that this bag is not a big size but, in turns, it is compact and comes in multiple compartments to accommodate your most frequently used possessions. To that end, I recommend to use it for day trip, daypack for school, traveling or shopping. If you usually carry your expensive laptop around, then weather might be your priority concern, right? From that point, considering the best messenger bag with waterproof ability is essential. This messenger bag from Newhey surely does a thing. 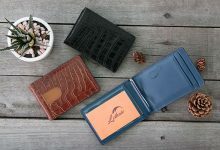 It is made completely from superior cowhide crazy horse leather and heavyish waxed canvas to ensure great water resistance as well as superb durability. Moreover, if taking a closer look, you will see that the surface of this leather bag contains many natural scratches and wrinkles from the animal skin, transforms a perfect vintage and classic outer performance. These best messenger bags for men can accommodate those bigger-sized laptops. It’s measured by 15″(L)x11″(H) x 4.33″(W), enables to be well-fitted with a 15.6” MacBook Pro. Besides, there is a separate compartment for laptop, sized 15” (L)x10.6(H)” with extra padded sleeve for better protection. Take a look more in depth at its construction, there is a main compartment, 1 zipper pocket inside for significant articles, 1 back slot is perfect for an iPad mini and 2 inner slip pockets. They are all secured by two powerful detached magnetic straps. It’s well-made to deliver moderate strength to keep your possessions stay neatly without falling out and ease to open when in need. Another good thing is the adjustable strap with 1.37” inches wide, comfortable to carry your bag all day long. You can easily detach it to fit best to your body within the range of 31.4″- 55”. But the best thing about this product is multiuse. 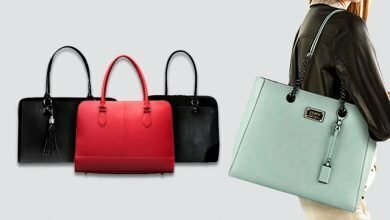 Thanks to its high-end look with both casual and formal, Newhey bag can fit many age ranges, many careers, from businessmen to students, from fashionistas to travelers. I know many of us don’t put our wallet and smart phone in trouser pockets because they don’t want to ruin its line, right? However, you still need somewhere safety to manage and protect those valuable stuff. That’s why I add this Egoelife Shoulder Bag in this collection to serve this purpose. A wonderful unisex casual messenger bag to readily become your trustful companion for a go. Simple yet elegant outer performance, basic color options for easy outfit combination, nicely embossed logo in the front, it suits many occasions: from schooling to working, from short traveling to daily using. Not just stop at that, its moderate dimensions, organization and capacity will satisfy your desire. Measured by 13.5″(L) * 3.1″(W) * 10.8″(H), arrive in 1 zipper pockets, 1 main compartment, 2 open pockets in front and 2 drop cases in the inside, it can fit up 13-14-inch Vaio, pens, mini iPad, books, wallets, phone, and something like that. Wondering about its material? It is high quality leather and canvas to offer scratch resistance and waterproof ability. Actually, there are many compliments from customers for its superb durability and longevity. With proper maintenance and caring, this bag can serve for years. Not saying that such two dark colors are slowly discolored, making it look virtually like new. This will be the next best item in your wardrobe! 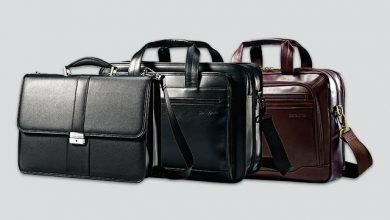 Wowbox is another well-known brand specialized in the best man bags. They have been crafting many wonderful products, and this one is one of their best offerings. It has military-styled design with two stylish color options: grey and coffee. Made out of high-quality canvas, genuine cowhide leather, SBS zippers and stainless-steel hardware buckle, this satchel bag ensures to serve you for years. But, what I love most about this bag is its multitude of exterior and interior pockets to deliver the best organization and arrangement. You can stash all of your essentials in this bag neatly and securely. Going outside in, there are 2 side pockets with magnetic snaps, 2 front pockets with buckles and 1 rear zipper pocket with leather clasp. The interior includes 2 phone pockets, 2 pockets for pens, 1 main zipper compartment, 1 zippered pocket and 1 main thick foam padded laptop compartment with velcro closure. It has places for everything! 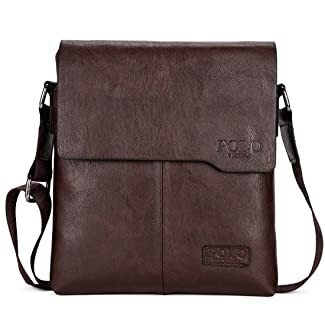 Not saying that this is a clever-designed shoulder bag because of its full-size rear anti-theft zipper pockets and genuine leather flaps of the two side pockets. Particularly, the laptop compartment is measured exactly to fit 16.5” laptops with thickened anti-shock design and a Velcro for ultimate security. Grab it now before it’s gone! For those who want to leverage your daily casual shoulder bag to a more luxury and stylish outlook, start here. The whole bag is nicely made from genuine cowhide leather with distinct soft hand-feel and great durability as well as water resistance. On top of that, it is really concise and compact with the measurement roughly 5.9″*11.8″*3.2″. Actually, this is more likely a mini backpack that you can flexibly try many ways wearing. 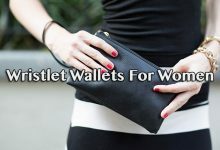 For instance, you could carry it like a chest bag, crossbody bag or shoulder bag. The strap is easy to adjustable and comfortable to wear. 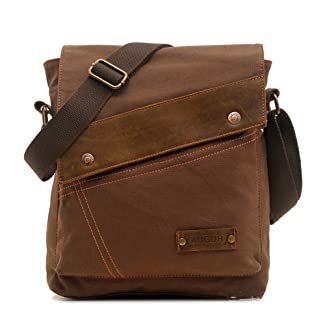 In terms of capacity, based on such dimensions, this Men’s Sling bag is ideal for shopping, hanging out, or a day trip. 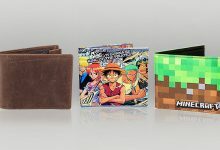 It fits neatly an iPad, Kindle, some books, wallets, cell phones and things like that. 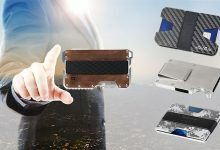 You can make use of the magnetic pouch for umbrella or sunglasses and the front zippered pocket for small things like tickets, documents, etc. With its 100% cotton canvas and durable metal magnet and head layer leather zipper, Sechunk Cotton Canvas Messenger Bag practically defines the everyday carry. It is designed cleverly to fit any age range and many occasions. There’s more, 0.6 weight and 8.46″”(L)*1.57″”(H)*10.24″”(W) capacity, this bag is sized for those of us who love carrying less as it fits perfectly 11.6” notebooks, A4 size papers, some pens, wallet, phone and umbrella. From the outer performance, you can find it is very simple and minimal with a magnetic flap decorated by genuine leather and a squared brand logo. Take a closer look, the stitching and lining is well-tailored as its age, creating a durability, sturdiness and protection. This Sechunk Bag comes equipped with a 4-cm strap that is adjustable within the length 60-150cm, surely match with your body size. But on top of that, it is guaranteed by the manufacturer. If there are any problems with it, just contact them and they will solve for you. 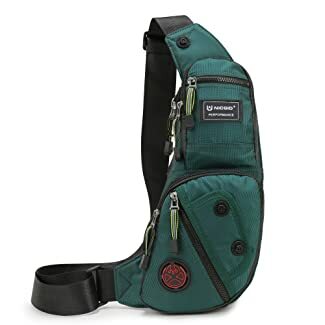 Made of rip-resistant and high quality water-resistant nylon, compact dimension, curved-design to fit natural body line to give the best comfort and multiple compartments, Nicgid Sling Bag is the best sling bag that gets plenty of things, doesn’t it? There are a lot of compliments from customers for its superb flexibility to enable to wear in many different types. You can carry it in the front or back of body as a shoulder bag or chest bag thanks to its adjustable strap. Based on its concise measurements, 7.1 x 0.8 x 14.5 inches, this product fits perfectly for those who like to carry less. The sling bag itself can accommodate an iPad mini, cell phone, wallet, Kindle, small notebook and other small stuff. More details, there are 4 front zip-around pockets, 1 outer zippered slot and 1 large inner compartment. 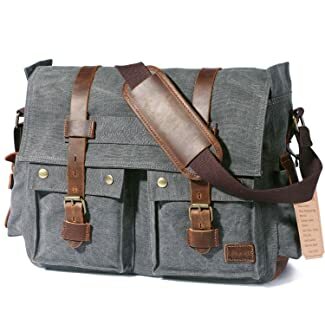 I think if you are looking for the best messenger bags used for casual daily use, museums, theme parks, traveling, schooling, walking, shopping, dating, and biking, don’t miss out this amazing design. This Berchirly might be the smallest bag in this collection, 11.81 x 9.84 x 3.74 inches. It arrives in four trendy and beautiful colors: black, olive green, blue and coffee. However, don’t quickly underestimate its capacity! Tons of features come packed into this wonderful messenger bag that can fit up an iPad, notebook, umbrella, wallet, smart phone, and something like that. Not only come up with great capacity, but the bag also provides good organization thanks to its clever design including 1 main pocket, 1 rear zipper pocket, 1 front zipper pocket and 1 open slot under flap. Get your hand on the bag and discover all the way you can figure your stuff quickly and easily. With the adjustable strap that enables to extend to 55 inches, you can adjust it to wear in various ways, like shoulder bag and crossbody purse. 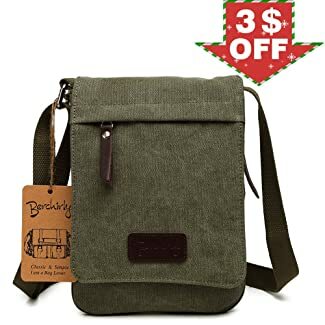 Besides, this Berchirly bag is made from canvas and high-quality faux leather to help cut off the cost, giving a competitive price tag. 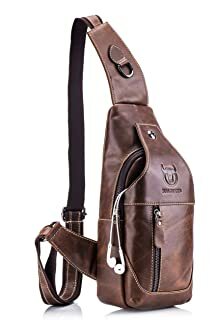 In a word, this is the best leather messenger bag for outdoor exercise, hiking, traveling and something like that. Many PU Leather Shoulder Bag comes up with inexpensive and cheap look, but this Vicuna Polo is an exception. Its outer performance is strikingly beautiful with unique, nice wrinkles and texture. The entire shoulder bag is quite simple and minimal with only embossed Polo brand name and logo in the front. It combines perfectly with the material and squared design to define one of a kind outlook. Vintage, luxury, compact and handsome look. There’s more, this product is measured by 9.06*10.63*1.57 inch, which is totally concise and intuitive enough to carry as a crossbody bag or shoulder bag whereas spacious enough to store your daily essentials such as 10.5inch iPad, smart phone, notebook, cigarette and other small stuff. Whether it is the inner compartment or the outer pocket, they are all secured by a strong, sturdy and durable zipper to keep everything in place and safety. If military shoulder bag is your taste, then here, I’ll give another option from Lifewit. The stylish and versatile grey tone just nods to the stuff it is able to store. Lifewit’s version of a durable and rugged wash canvas fabric and superior genuine leather bag, it highlights a superb durability, good water resistance and unique outlook. Besides, it is asserted by many customers for being built to last. Not only invest on the material, the manufacturer also puts a lot of afford on its hardware. Particularly choosing the SBS zippers that is one of the most durable material on the market, this messenger bag is leveraged its longevity than ever. 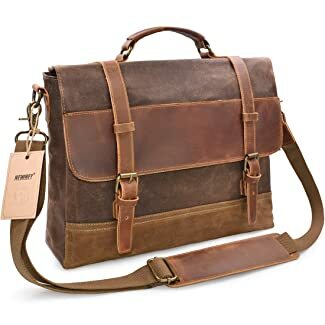 If you are curious about its measurement, this messenger bag arrives in 17.5 x 5 x 13 inches, matching neatly a 17.3-inch laptop computer. There is plenty of interior organizational pockets and a separate laptop pocket with foam cotton, anti-shock feature and Velcro strap for the best protection. 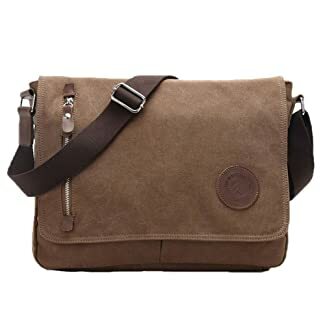 Briefly, it is the best laptop messenger bag with a wonderful combination between function and form that will be the next best item in your wardrobe. 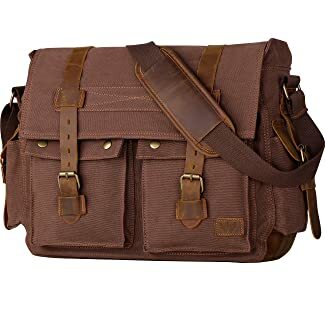 Picking a messenger bag is obviously a must-consider thing as it will be one of your daily companion and importantly, it keeps your valuable things. 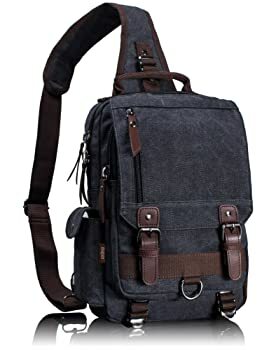 This collection has given you 10 best messenger bags for men with diverse sizes, styles and colors, but to opt for the right one, you need to consider your requirements, preference and purposes. Let’s invest some time on it and you’ll not regret.